Stop by your dining hall during lunch and dinner hours or the Library (under the flags) from 12-4pm. There will also be kits available at Chabad. 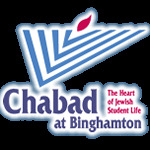 Students must obtain permission from the Resident Director (RD) to light their Menorah, including filling out a short form. Students must kindle the Menorah in the specifically designated room (not in a bedroom, suite or apartment). Candles may not be left unattended for the duration of the time that the candles are lit.